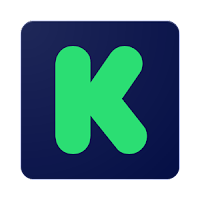 I rarely use my forum here to shill for Kickstarters unless I have some personal connection and think they are a good deal. As these things go more and more publishers are turning to Kickstarter and I'm asked to make a mention a few more times than I'm comfortable doing. Normally I'd pass on a more recent request from A Hole in the Ground Terrain & Games, but I did review one of their products about a month ago (Inn of the Buxom Wench). These guys aren't asking for a lot and if you play 5th Edition I'm thinking it might be a good deal. The Halls of Runehammer seems like a pretty straight-forward Kickstarter and with only two donation levels ($5 & $10), it looks like you could get a decent amount of content for a good price. Heck, they are already 1/2 way towards their goal and it looks like most are going with the $10 buy-in.